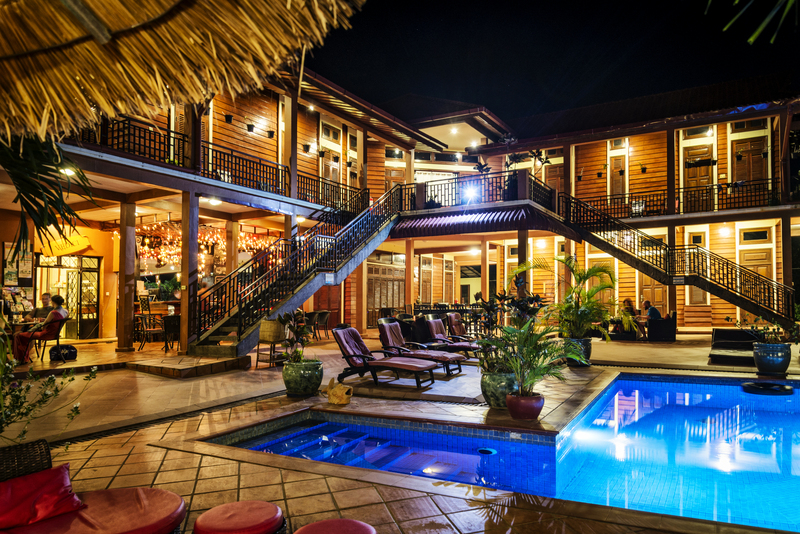 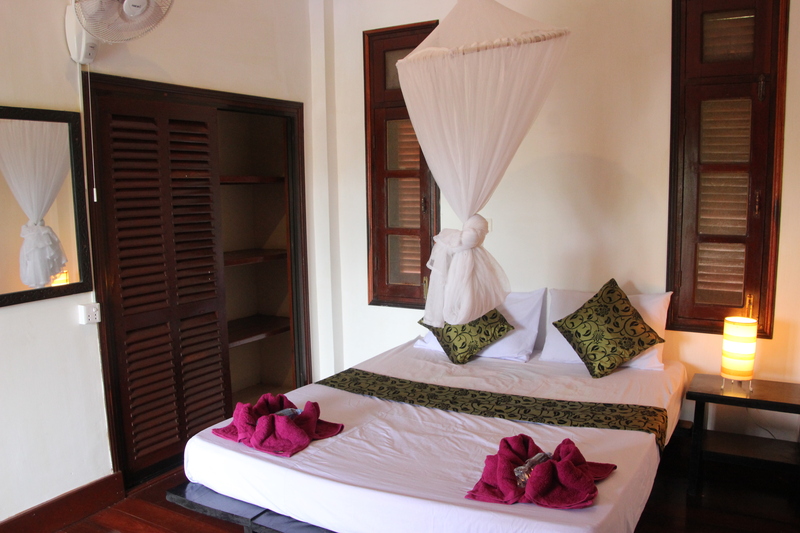 The “mainhouse” contains three double rooms upstairs, each having a private bathroom with hot water and good pressure. 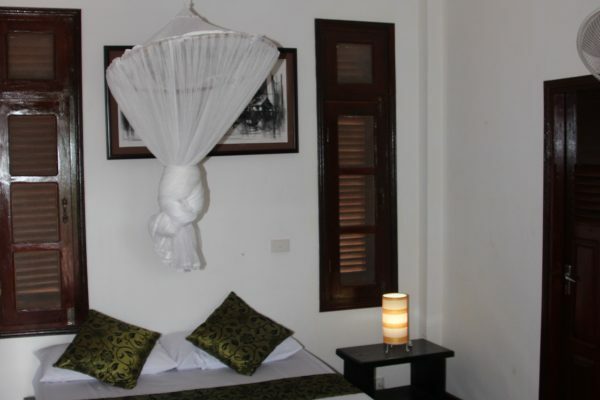 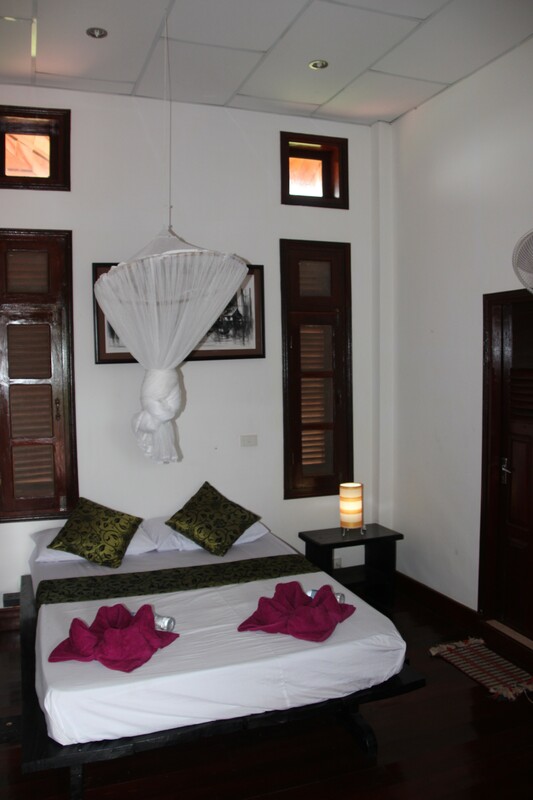 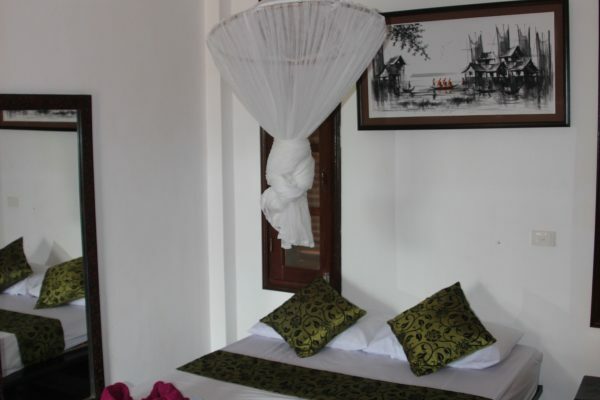 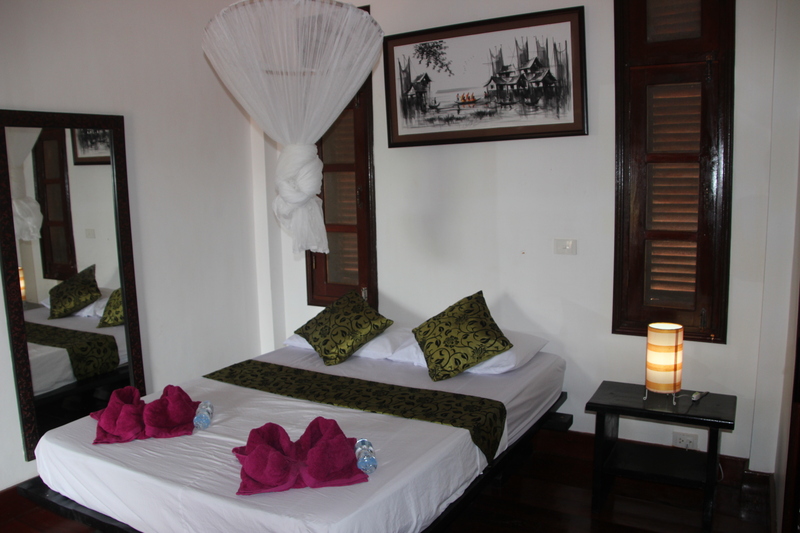 The rooms come with a quality cooling fan, mosquito net, big closet and free Wifi access. 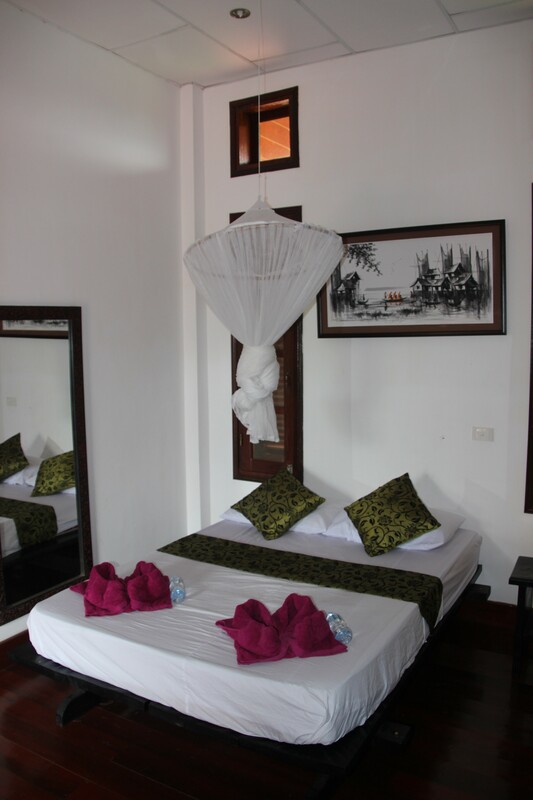 There are balconies on all front sides of the rooms which give you a stunning view over Bokor mountains just behind the Kampot river.